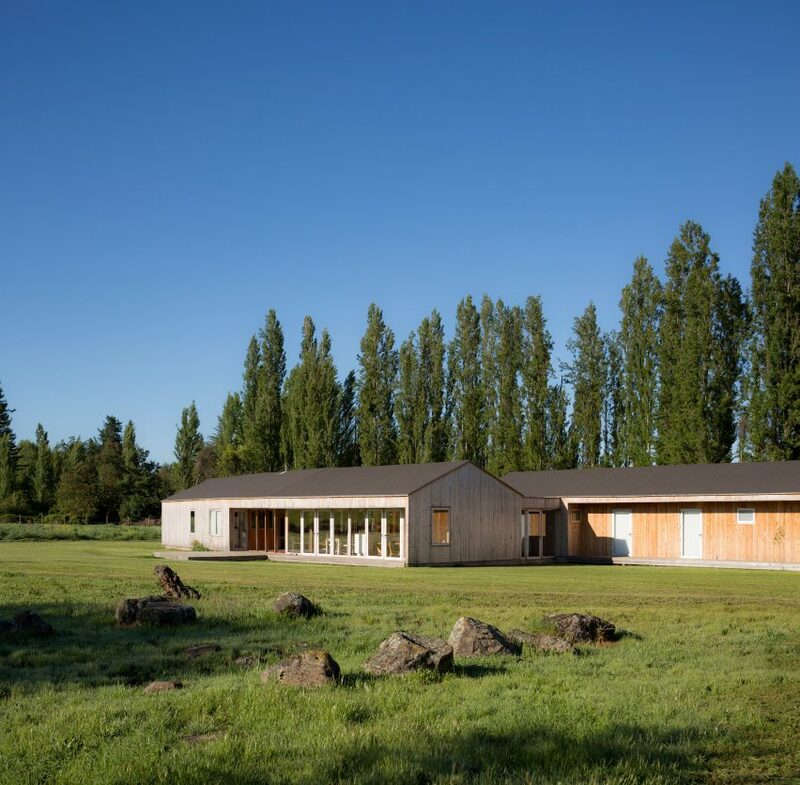 Two long volumes clad in local cypress and kinked at their centres form this house in rural Chile, by Ignacio Correa Arquitecto. 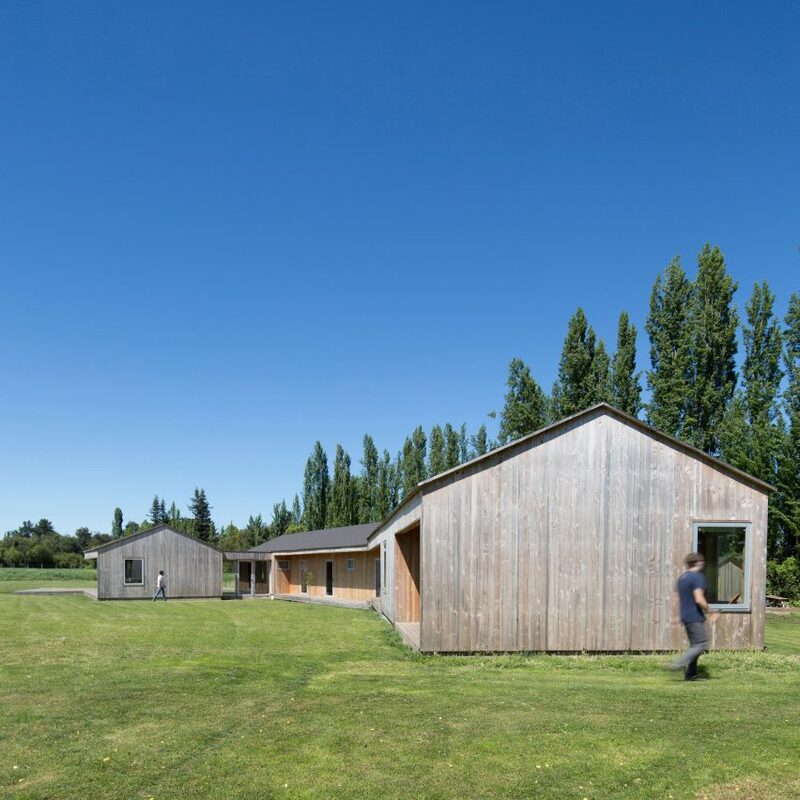 The single-storey Casa Camilo was built for a family of famers who work near the bucolic site in Parral, in the county’s central Maule region. 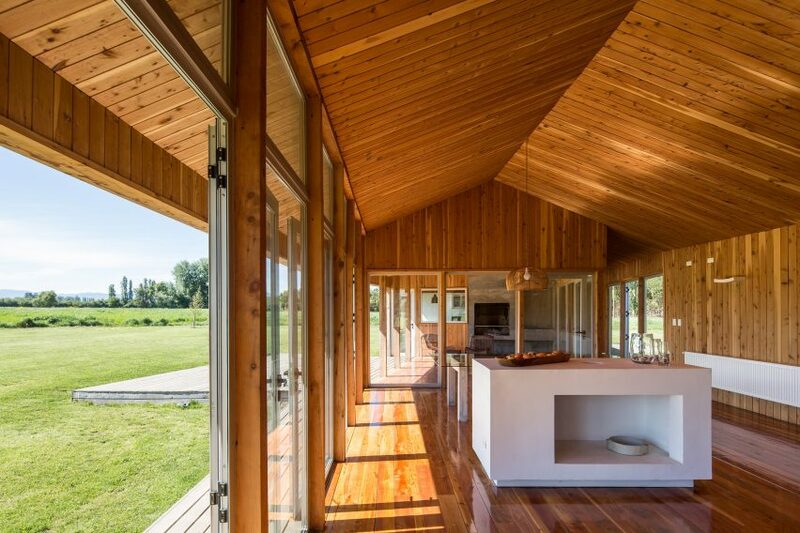 Built on an area of 3,660 square feet (340 square metres), the linear house is covered in timber both inside and out. Ignacio Correa Arquitecto designed the building with local materials and building shapes in mind. 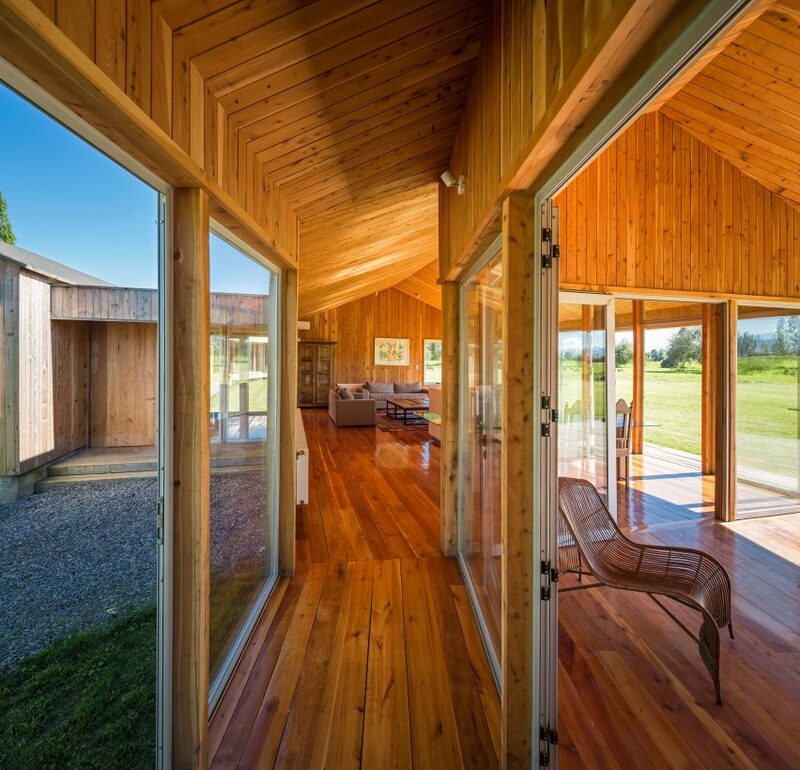 The home is constructed using cordilleran cypress wood sourced from the region, while its simple form mimics nearby wooden sheds. “The scarce access to certain materials in the area determines and encourages the fact that the more traditional crafts remain active [in the town],” said the studio. “In this case, carpentry is one of the practices with the higher skills experience”. Large areas inside the house are also covered in cypress, which is coated in a warm-toned gloss. These boards wrap around the walls, floors and ceiling to help unify the interiors. A variety of gabled trusses form the primary structure and are spaced differently in certain portions of the building. 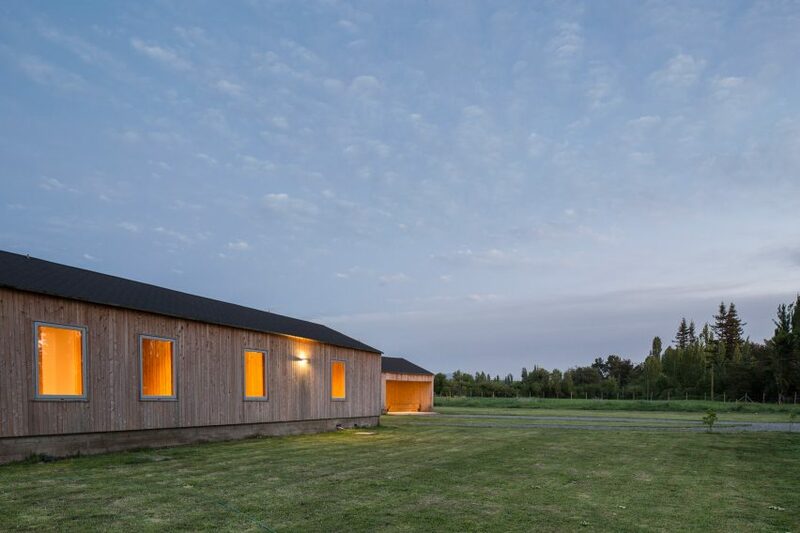 The residence is made up of two long sections, which are laterally offset from another and connected by a glazed entrance box where their ends face. The pair of buildings are both kinked in the centre, but in opposite directions, so they trace a loose S shape across the site. One volume contains the public areas, including an open-plan dining and living area, which is separated from the kitchen and staff quarters by a covered patio. The second section is designated for sleeping, with three bedrooms occupying one side and a master suite located in the other. These halves are also divided by an outdoor terrace, though linked by a narrow corridor that runs the full length of the building’s outer edge. Based in the capital Santiago, Ignacio Correa Arquitecto has also built a wooden holiday retreat on stilts overlooking the Pacific Ocean. Other recently completed houses in the country include a hillside house with an expansive wooden roof and open-air living room by Sun Arquitectos and a bright red mountain house set within a forest by Felipe Assadi. Photography is by Aryeh Kornfeld.